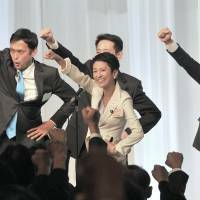 The Democratic Party made history Thursday, electing Renho as the first female leader of the main opposition force. The 48-year-old mother of two and former swimwear model, who previously served as deputy leader, was set to give a striking image makeover to a party dogged by lackluster popularity linked in part to its disastrous performance in power during the Fukushima nuclear crisis. “We are up against the juggernaut of the ruling coalition and the highly popular administration” of Prime Minister Shinzo Abe, Renho said after being elected. Renho is also a radical choice in Japan for the fact that she is of partly non-Japanese origin, with a Taiwanese father and Japanese mother. 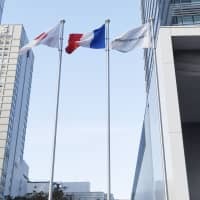 She won an election by DP lawmakers and party rank and file despite an eleventh-hour storm over the revelation that she holds dual nationality. On Tuesday, she reversed an earlier denial in the matter, revealing that a past attempt to relinquish her Taiwanese citizenship had failed. She said she is now renewing efforts to lose it, but critics said her fumbling reflected a lack of political savvy. Renho emerged victorious with total of 503 points out of 849. 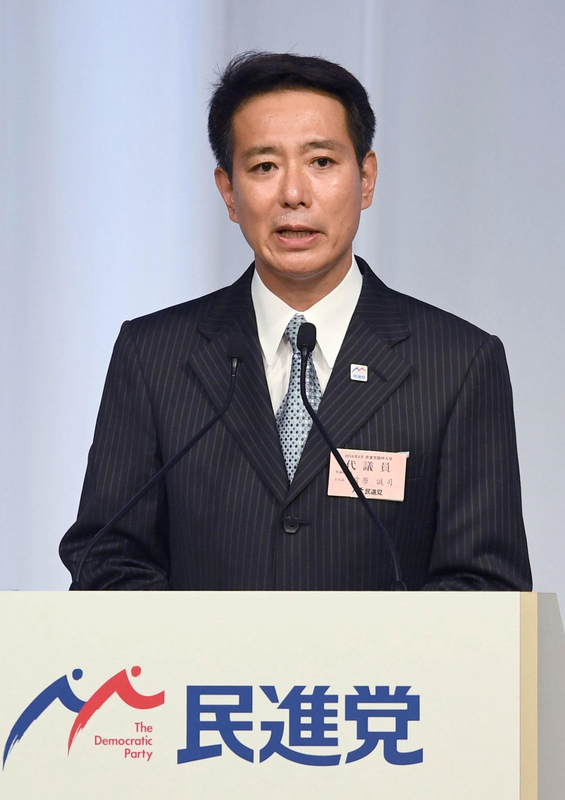 Her rivals, veteran lawmaker Seiji Maehara and rookie contender Yuichiro Tamaki, garnered 230 and 116 points, respectively. 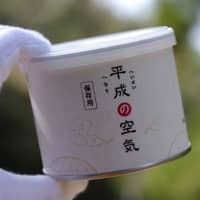 Of the total 849 points up for grabs, including votes by Diet members, 206 points were allocated to some 1,600 local and prefectural assembly members. Ballots cast by rank-and-file party members accounted for slightly more than 50 percent of the total points. In the run-up to Thursday’s leadership election, Renho, who goes only by one name, campaigned on a promise to transform the struggling DP into a “revolutionary party” that offers realistic alternatives to Abe’s ruling Liberal Democratic Party. Specifically, she called for greater investment in people and education, including free preschool and higher salaries for nursery teachers. Her leadership represents a sharp break from the DP’s traditional presidency roster dominated by aging men. It also comes as Japan’s male-dominated political and business circles make cautious efforts toward empowering female leaders. Despite pioneers such as the late Takako Doi, who led the predecessor of the Social Democratic Party from 1986 to 1991, and later the SDP between 1996 through 2003, female leaders have been a rarity in Japanese politics. 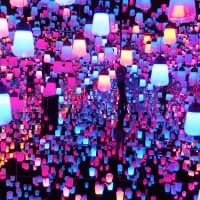 More recently, women to have broken through the glass ceiling include LDP lawmaker Tomomi Inada, who is now defense minister, and Yuriko Koike, who was elected Tokyo governor. Other women recently to have made it big include LDP lawmaker Tomomi Inada, who is now defense minister, and Yuriko Koike, who was elected Tokyo governor. 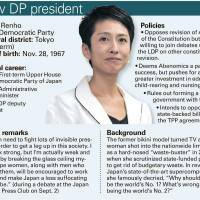 Some say Renho’s victory will turn the DP into a stronger counterweight to the LDP, though others remain skeptical. Kazuhisa Kawakami, a professor of political science at the International University of Health and Welfare, said Renho could play up her role as a mother to differentiate herself from Abe. Her leadership, Kawakami said, represents a “significant revamp” of the DP’s public image and could possibly lead to an uptick in its chronically sluggish support rate of around 10 percent. But Yoshiaki Kobayashi, a professor of political science at Keio University, was more cynical. 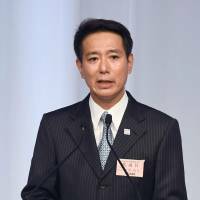 He said Renho’s woman card is unlikely to prove a game-changer given Abe, too, has trumpeted a raft of female-friendly policies under what is dubbed the “womenomics” drive. In fact, some of Renho’s key campaign promises on the “women front,” such as vows to increase female lawmakers and ax the decades-long spousal tax break system critics say has dissuaded women working full-time, are already part of the LDP platform. 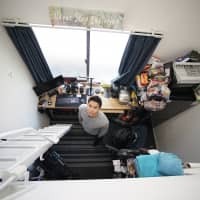 “Renho’s pro-women policies are not that different from those already pushed by the Abe administration,” Kobayashi said. But for Renho, even more daunting challenges lie ahead as the coalition appears set to pounce on her mishandling of the citizenship issue, and are likely to use it to question her caliber as a leader, particularly for the biggest opposition party. On Thursday, the Justice Ministry clarified that despite Tokyo’s lack of diplomatic relations with Taiwan, the Japanese government does not apply Chinese law to those who possess Taiwanese citizenship in Japan. The announcement could work to Renho’s disadvantage because it discredits the claim that she actually no longer has Taiwanese citizenship as per China’s law stipulating Chinese citizens abroad automatically forfeit such citizenship upon acquiring foreign nationality of their own volition. After being elected president, Renho reiterated that she had broken no laws. 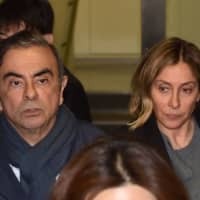 But legal questions aside, “the criticism she somehow obfuscated her inconvenient past will likely persist,” Kawakami said. Another Achilles’ heel is the fact that she is an Upper House lawmaker. Although lawmakers from the upper chamber are technically allowed to become prime minister, history shows no one from the less influential chamber has ever clenched the position in the post-war era. Renho has already expressed her willingness to run for a Lower House seat to place herself in a better position to dethrone Abe. Policy-wise, observers expect Renho to adhere to the liberal policies upheld by her predecessor, Katsuya Okada. 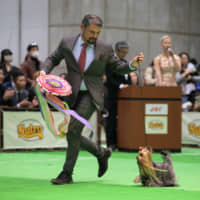 Upon throwing her hat into the ring, Renho echoed Okada’s calls that the war-renouncing Article 9 of the Constitution be protected, at a time when Abe is widely believed to be seeking to amend it. In a possible break from Okada’s stance, she did, however, express a readiness to discuss constitutional amendments with the ruling coalition. While flatly ruling out the possibility of forming a coalition government with the far-left Japanese Communist Party, she has refused to rule out another electoral tie-up with the party — a controversial tactic pushed by Okada — in case the Lower House is dissolved. Renho, a third-term Upper House lawmaker, served as state minister in charge of government revitalization in 2010, when the Democratic Party of Japan, the DP’s predecessor, held power. A mother of twins, she enjoys high support from the public. She secured more than 1 million votes to finish a strong first in the Upper House election in her Tokyo district in July. 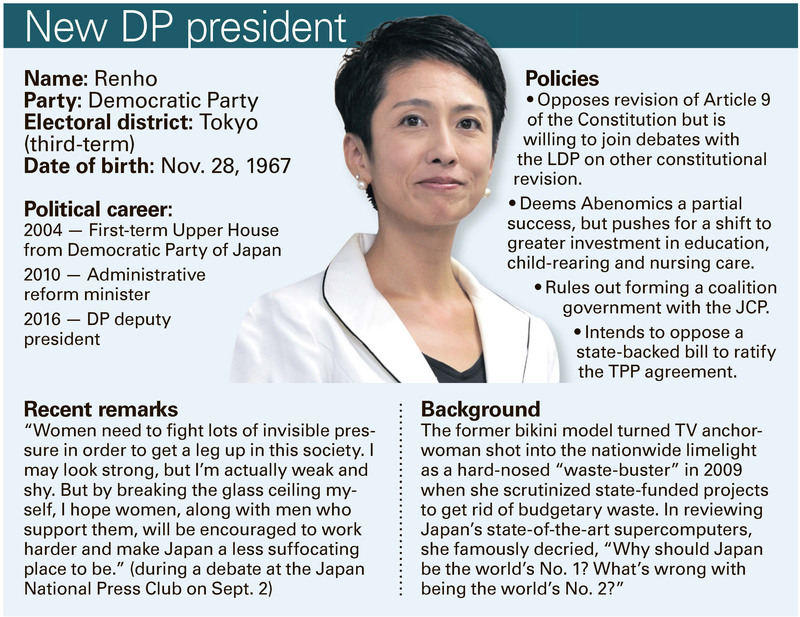 Throughout her campaign, Renho called the election a chance for the DP to evolve into a “next-generation” party. 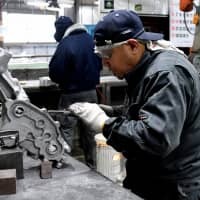 But her calls for rejuvenation apparently haven’t struck a chord with voters, with the latest NHK poll showing its support rate slumped to 8.3 percent in September from 9.0 percent the previous month. In addition, its much-hyped merger with the smaller Ishin no To (Japan Innovation Party) in March did little to increase its popularity.